Dr. Louise Swartswalter, Beautiful, Balanced Brain Expert, is a naturopathic doctor and certified biofeedback specialist. 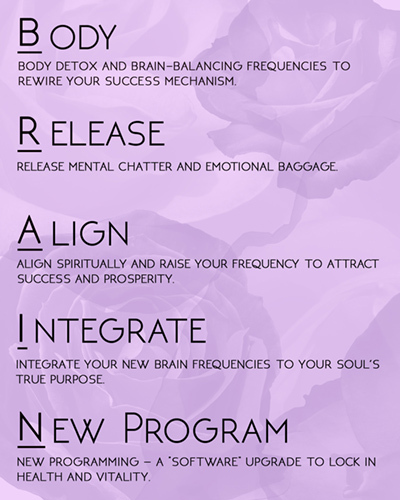 For over three decades she has specialized in healing and balancing the human brain through her signature B.R.A.I.N. System, the most comprehensive healing system for the brain, body, soul and life. During her career and own healing journey, Louise discovered that the brain operates like a motherboard for the body. When a person’s brain is functioning at optimal health and is in balance, the rest of one’s body and life is able to fall into balance. In 1993 Louise was a special education teacher, wife and mother of two. Then she experienced a serious health crisis that would change her life forever. Rather than accept being sick for the rest of her life, Louise began studying the alternative medicine and energy work that would eventually lead to her recovery and second career as a powerful healer and successful business owner. In 2007 Louise moved her healing practice from her living room to the office building that would soon become the widely known and visited Albuquerque Natural Health Center. Through ANHC Louise has had the opportunity to work with hundreds of individuals seeking help with health issues including ADHD, allergies, autoimmune and thyroid imbalances, digestive disorders, as well as those looking for marriage and career success. Louise has helped thousands of people and their families during her many years of practice. She has discovered that to be healthy, vibrant and successful in your life or business your brain must be in balance, including the neurotransmitters, chemicals and hormones. She also found, that in order to be physically healthy, you must address the patient’s emotional and spiritual bodies. Through addressing these issues and more with the B.R.A.I.N. System, Louise’s patients get healthier physically. In addition, they also feel more balanced, empowered, vibrant and positive. Their stress melts away and they are able to accomplish more! Isn’t it time you LIVE your Best LIFE?